The big success education center international school registration is now open , We shall begin registering new students for 2012 school session from 12th of January 2012. Bring your child to register in our school and get a discounted fee. We shall inform parents when we will re-open our school via telephone and emails and our website. We are about to introduce the newest package in our school students will be learning more and wider lessons which is rare in schools. We have several interesting programs your child will be thrilled and we might even air our shows. It's hot, it's new , it's fresh and it's mind blowing keep in touch and don't miss it!!!!. We are new so are you to us but we are one family so come join us! hurry our Price is affordable! What is the benefits of a piano lesson? 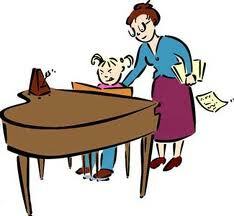 Five ways that will benefit you child if you join our special piano lesson! In one particular study conducted by Dr. Frances Rauscher (a psychologist at the University of Wisconsin at Oshkosh) and Gordon Shaw (a physicist at of the University of California at Irvine) tested preschoolers who received piano instruction. They found that preschoolers who received piano lessons scored 34% higher than their nonmusical counterparts in tests measuring spatial-temporal reasoning, which is the brain function used to understand math, science and engineering. Learning to play the piano is hard work and takes dedication. Not only does each song mastered increase a child's self-esteem, but showcasing their newly learned talents at piano recitals can boost their self esteem as much as winning a game in a sports competition. Lessons also help kids to learn how to keep a positive outlook when facing difficult tasks. The understanding that mastering a new skill is a process that requires patience helps children to approach tasks with confidence, and not become discouraged or frustrated. Increased eye-hand coordination is almost a given for children that learn to play the piano, but there is more than that. Kids who play the piano have improved fine motor skills and, unlike other instruments, the piano requires both hands to work independently of each other, one moving fast while the other may be moving at a slower rate. All of these things help to increase a child's overall dexterity and complex thought processes. Reading a piece of music takes a great deal of focus, causing a child to interpret a note and a rhythm, translate it into hand movements on the keyboard and then immediately go on to the next one. Reading and playing music allows them to think both critically and creatively, which is a skill that will assist them in anything they choose to undertake in the future. Regardless of whether a child plays the piano for a short time or for a lifetime, the long-term effects of their piano pursuance are many. Through playing the piano, children are exposed to classical music that they may otherwise have never heard. Kids may develop an appreciation for composers like Bach or Mozart that stay with them for life. In addition, the skills and knowledge they learn in piano may help them easily pick up another musical instrument later. We dance for fun ! 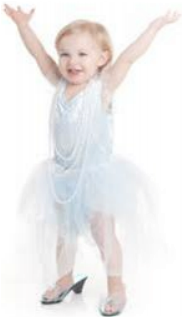 Most dance experts agree that the ideal age for kids to start dancing lessons is around 8. It is also the time when they can take direction well, and they are learning how to behave in a wider variety of a social situation than just at home and school. A lot of dance schools offer dancing lessons for kids aged 8 to 12 Years old only. These are some of the benefits of enrolling your kids for our dance lessons. Exercise: Dancing is a great activity to develop their agility and coordination. And the best part is, they are exercising while having fun. Confidence: learning how to dance can also develop some self-confidence. Instructors are also patient when teaching and do everything they can to help the kids learn the steps. Making friends: Your kids can learn the basic etiquette while making new friends in an enjoyable environment. Taking dance lessons can help in your kids learning skills that will be useful for a lifetime.